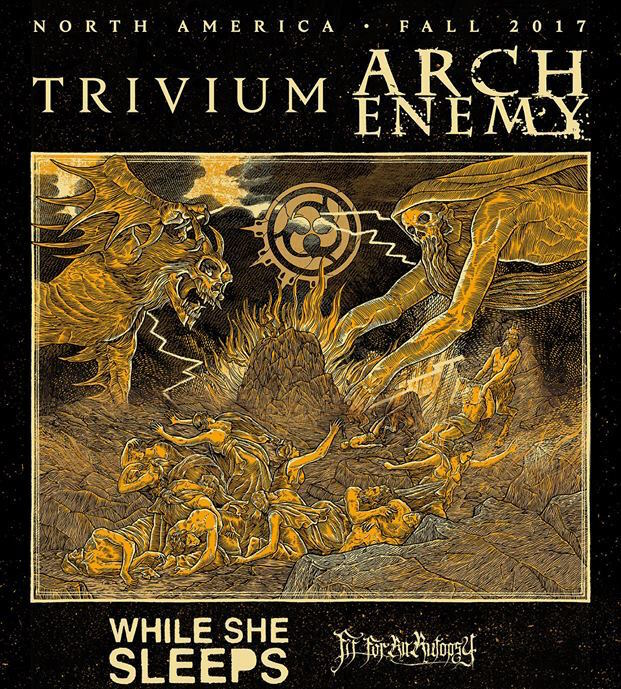 Arch Enemy and Trivium have announced a co-headline North American tour with support acts While She Sleeps and Fit For An Autopsy. Check out the dates below, along with quotes from both bands. General admission tickets will go on-sale to the public on Friday, August 4 at 10:00 A.M. local time.